The idea of a rifle club is a really foreign concept to me. Of course I know they exist and there are heaps of people that engage in gun related sports and hobbies, but it’s just not something I’ve ever been exposed to. So when I got an invitation to attend the launch of new restaurant Bang Bang at The Rifle Club, located in the historic Caulfield City Rifle Club building in Elsternwick, I have to admit I was quite intrigued. 10 minutes and a Google search later, intrigue had turned into excitement and anticipation for the newest venture from the Riverland Group (The Boatbuilder’s Yard, Pilgrim Bar and Wye River General Store) who are the masters of bringing unique historic buildings back to life. Located at the gateway to the busy Glenhuntly Road shopping strip overlooking the newly redeveloped Elsternwick Plaza Park, the restored red brick building sits on higher ground and stands out from the surrounding park and shops. Once inside take a seat in the bright alfresco area which resembles a sunroom or in the internal dining room which has a vintage jungle theme with a French twist. 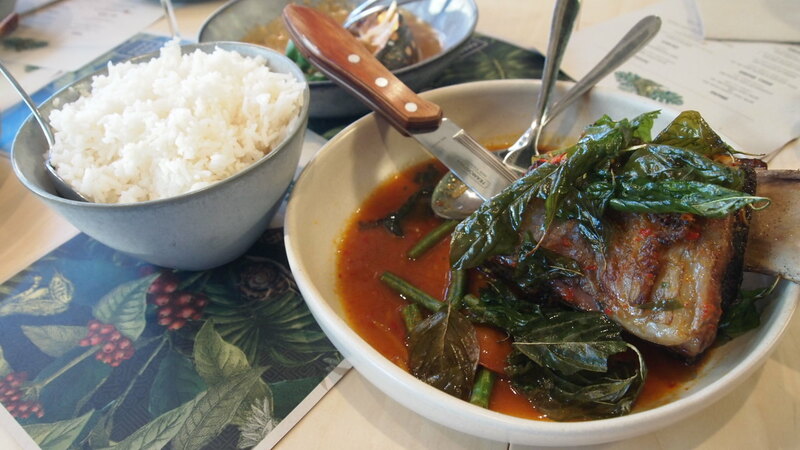 It sounds odd, but it draws inspiration from the French colonisation of South East Asia, tying directly into their French Indochine cuisine. The menu is built around shared dishes, both small and large with some snacks and desserts thrown in for good measure. 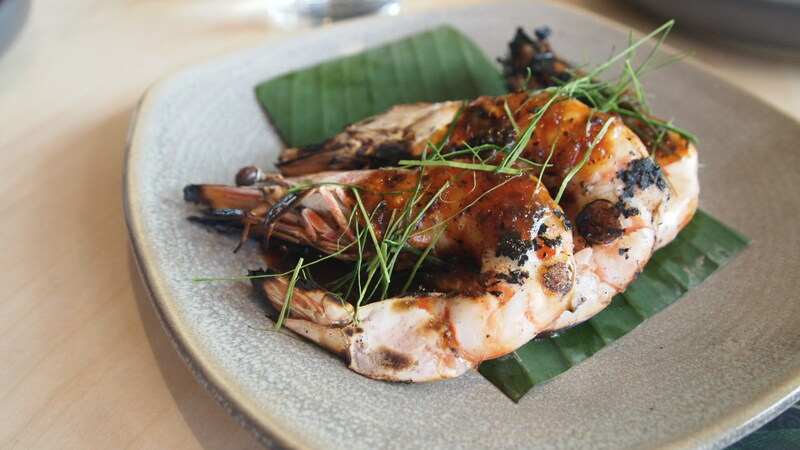 We were fortunate enough to sample a variety of dishes starting with the bite sized betel leaves, one with confit duck and the other with pomelo and cashew nut chilli, as well as the chargrilled king prawns with roasted shallots and lime. 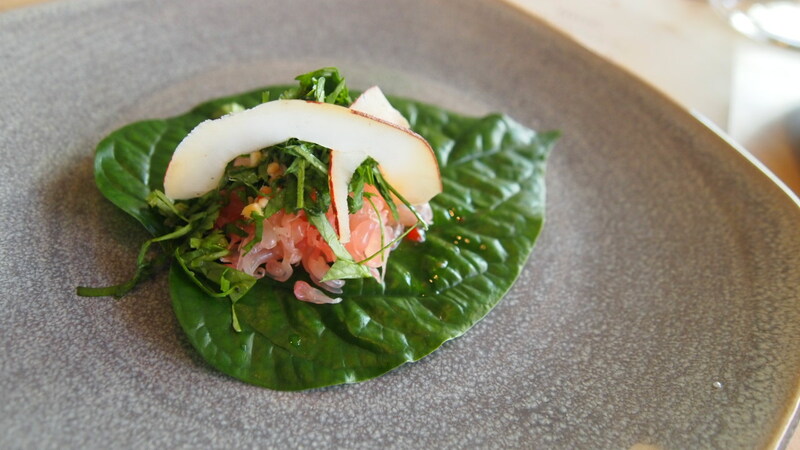 The betel leaves were lovely but according to the husband the prawns were pretty awesome. I missed out thanks to my shellfish allergy, but according to my tastetester they were packed full of flavour and really enjoyable to eat. 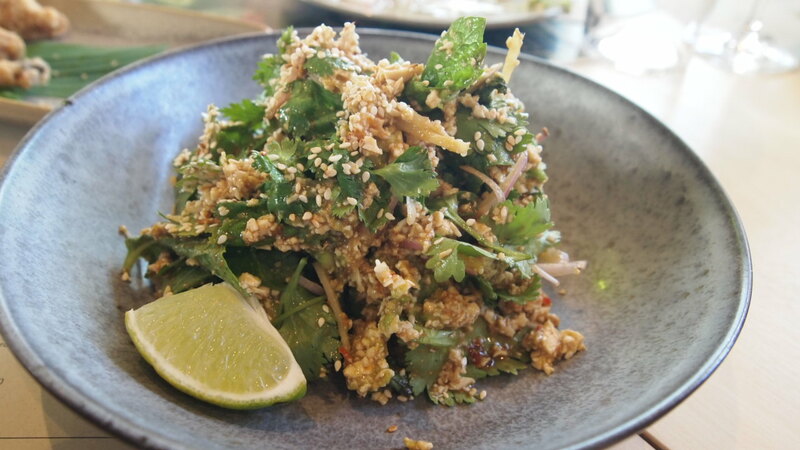 Up next was the kingfish sashimi; chargrilled pork neck; crispy chicken ribs; and the tofu, avocado and sesame seed salad. Each were equally impressive but the stand out for me was the crispy chicken ribs. 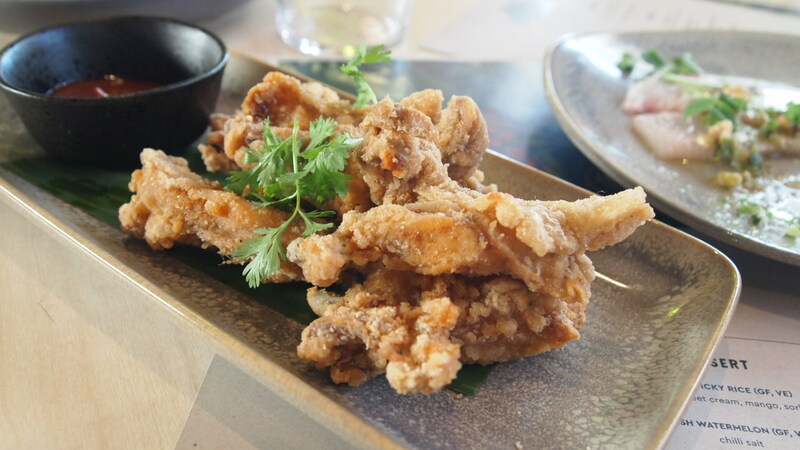 The juicy chicken was encased in a flavoursome fried batter that was just delicious. Once I started I couldn’t stop and almost ate an entire serve on my own. The salad was also really enjoyable. Fresh and fragrant, the tofu was seasoned well and tasted great especially once paired with the avocado, mint and ginger. 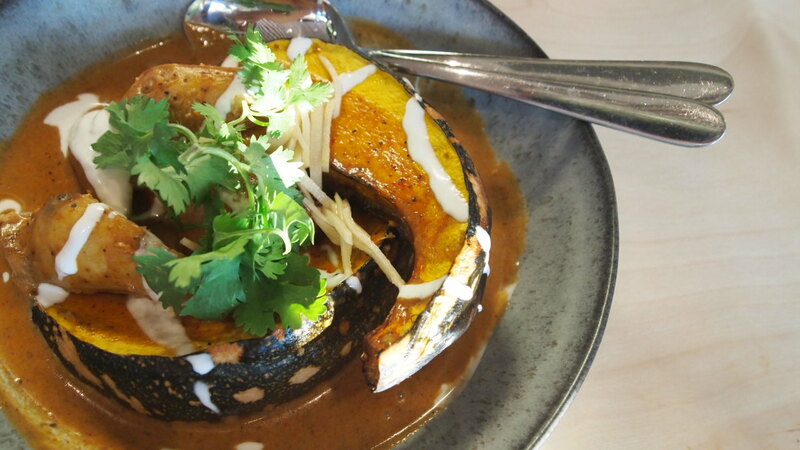 Someone should have warned us that there was still more to come because by this stage we had eaten like a couple of little piggies when out came the roasted pumpkin curry and a seriously impressive piece of meat in the chargrilled cape grim short rib. 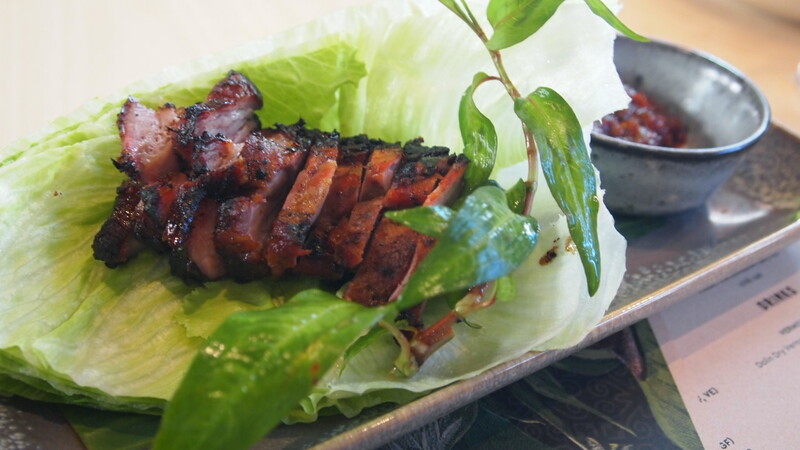 Incredibly tender, the meat fell away from the bone and melted in our mouths. Each subsequent mouthful was better than the last, so naturally we devoured the entire rib and could have easily gone back for more. Definitely a dish I’d recommend others try. 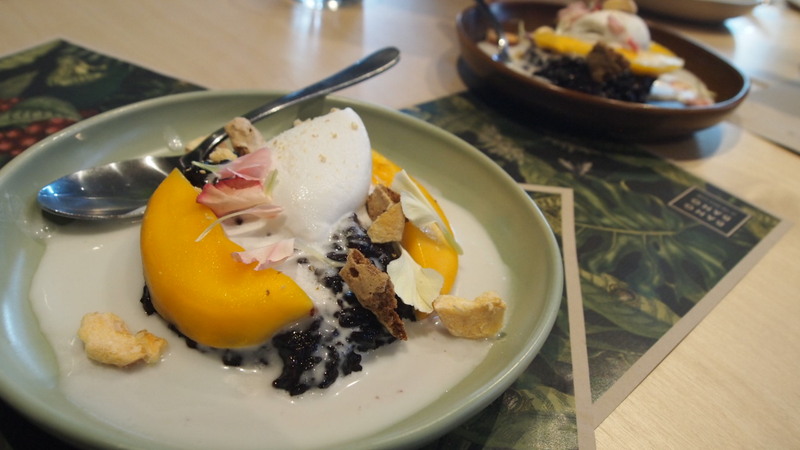 No meal is complete without dessert so despite how full we were, nothing was going to stop us from shovelling into our black sticky rice with pandan sweet cream, mango and sorbet. Light and refreshing it was a nice way to end the meal, although it lacked the richness that I like in desserts. All in all, we had a great night at Bang Bang and definitely recommend a visit if you’re in the area. We dined as guests of Bang Bang at The Rifle Club and Zilla and Brook PR however all opinions are definitely my own. 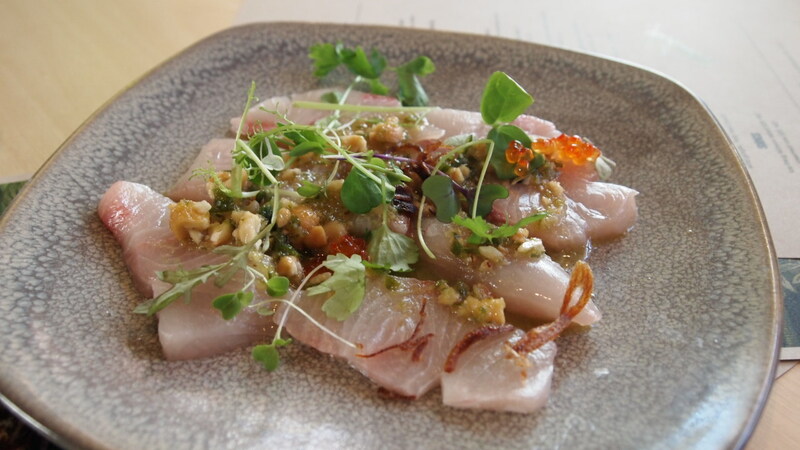 I was thinking of trying this place at some stage and your blog makes me even more interested! I find it concerning how many places are opening up and getting very low Zomato scores despite good reviews. It’s not great given I normally filter out under 3.5. Good reading a review of someone I trust. I find the same thing on Zomato. I gave Bang Bang a 3.5, but have read other reviews which were pretty brutal. Our experience was good but we were there for the media launch so I don’t know if that changes things. Just to confirm, its not an actual rifle club, is it? No, sorry I should have said that! I think it ceased being a rifle club about 20 years ago. From what I gather the site has been derelict for some time and this new restaurant is part of the redevelopment.